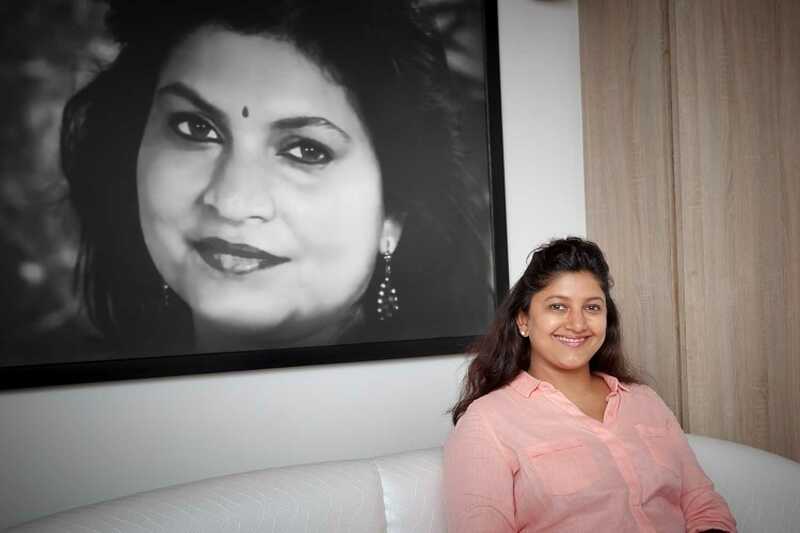 Mona Shetty began working as a voice-over artiste when she was just five. Today, she carries forward the task her mother, the late dubbing artiste Leela Ghosh, began in 1993. "My mother basically started this whole dubbing revolution with Jurassic Park (1993)," Shetty recalled. The Steven Spielberg film had come to producer-director Shakti Samanta to be dubbed for domestic audiences for a pan-India release. Samanta asked Ghosh, who came from an advertising background, to take up the dubbing direction. The dubbed version of Jurassic Park was a success. It became Ghosh's first step towards a career in dubbing. As a child, Mona was asked to do voice-overs for child characters in advertisements and, slowly, she too settled in the field. Shetty has lent her voice to many major advertising campaigns in English, Hindi, Bengali and Oriya, and also dubbed for actresses like Deepika Padukone, Katrina Kaif, Rani Mukerji, Kajol, Amisha Patel, Bipasha Basu, Lara Dutta and Koena Mitra. She is also the approved voice for Hollywood stars Cameron Diaz, Angelina Jolie, Kate Beckinsale, Kirsten Dunst, Halle Berry, Zoe Saldanha, Drew Barrymore and Catherine Zeta-Jones. Mona Shetty runs a dubbing studio called Sound & Vision India that dubs Indian as well as global content. Among the recent English films the studio has dubbed in various Indian languages are Mission: Impossible – Fallout (2018), Deadpool 2 (2018), Black Panther (2018), Avengers: Infinity War (2018), War For The Planet Of The Apes (2017) and Despicable Me 3 (2017). When did you realize you wanted to join the same industry as your mother? I don't think it was a conscious decision. It happened subconciously and in a very organic fashion, because when I was a child, I started doing voice-overs. My mother and father were both in advertising, so somebody must have needed a kid and that's how I must have started. All through school, since the age of five, I have done voice-overs for radio spots or TV commercials. You know, little things, and that's how I have been a voice artiste pretty much all my life. When I was graduating, I actually got an offer to work with a company called Magic Box Productions, which was, at that time, the in-house production house of Sony Entertainment Television. It was just being set up in 1996 and I was asked to look after the dubbing department. So from voice-overs, I went straight into dubbing and it all came together, you know. I used to do a lot of voicing for lead actresses, that was also going on. Plus, I used to help my mum with her work. So, it kind of all just happened one after the other. What does dubbing for someone involve? Is there some homework that you have to do to perform the job? I wouldn't say homework, but yeah, you have to carefully study the person: their behaviour, attitude, way of speaking, body langauge, all of those things. You have to try and imbibe as many of those qualities as possible. Try and match their way of speaking, voice, tone. You can't always match their voice exactly. It is very diffcult. You can match the pitch and the tone. Your studio, Sound & Vision India, dubs international films into regional languages. Is this process different from dubbing a domestic film? The domestic films, for example we have done Bang Bang! (2014), Happy New Year (2014), Prem Ratan Dhan Payo (2015), Bajirao Mastani (2015), Dhoni [MS Dhoni: The Untold Story (2016)], Padmaavat (2018), all of them come with a lot of songs. So, for that we have to do a lot of work. English films also sometimes, like some of the Disney films, come with songs. But it's more rare. Do you even dub the songs? Yes, we also dub the songs. They are an integral part of the story for most of these films. And especially when you are dubbing for India, the songs make a lot of difference. So that's the only difference really between dubbing foreign films and Indian films. And of course, Indian films are much longer, foreign films are shorter. Quantum of dialogues may be a little bit more in Indian films. That we also do now for Indian films. We have done so much work for Yash Raj Films; Dhoom 2 (2006) and Dhoom 3 (2013) were dubbed in Tamil and Telugu, Ta Ra Rum Pum (2007) was dubbed in Telugu, many others. Now we sign NDAs with everybody. Because, you know, nowadays material and content security has become a big issue. You have to be very careful about content, whether Indian or international. Everybody is careful about their content. Sometimes, you know, an Indian film is actually bigger in India than an international film. So the content security is just as important. Film artistes like Ranveer Singh and Kajol recently dubbed for international films. Do you think this hurts the dubbing artistes who would otherwise have done the job? That's like anybody who is doing the job is eating into someone else's pie. Only one person can do that job. Whether it is an actor or a dubbing artiste is immaterial. Whoever is, at that moment, available for that job is the one to do the job. How do you select dubbing artistes for major characters? Well, we do auditions until we find the right voice match for that character. Even though the voice match is the starting point, finally who gets selected is the person who performs the best. And who could match the character the best. You know, sometimes somebody may not sound exactly like you, but is a fantastic actor, may actually fit your face and body language better than someone who sounds exactly like you. The dubbing industry has become very competitive with more studios coming up. How do you cope? Extremely competitive! There are hundreds of studios. I think compared to other studios we have very large infrastructure, we have lot of in-house value-added services like writers, dubbing directors, sound engineers, mixing engineers and our own studios. A lot of the new studios go hiring out studios or they have these people mostly on a freelance basis. We have a lot of stuff in-house, so our turnaround times and our ability to take on work in terms of capacity is a little better. And, of course, because of our 25 years of experience in this business now, I think, our expertise may be a little better. 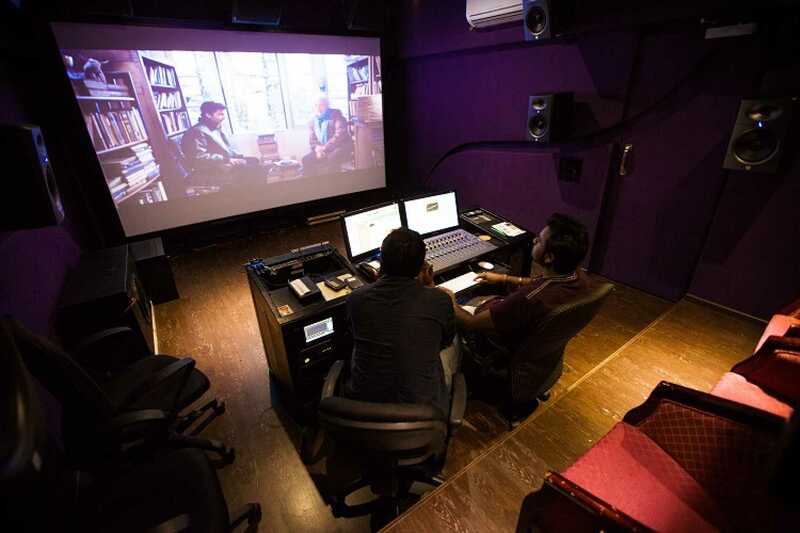 Unlike the film industry, the dubbing industry does not seem to be a male-dominated field. Is this correct? Yes and no. We don't feel it so much in the dubbing industry, but it definitely does exist, just like in feature films. Because ultimately what you are dubbing is films and film content. Therefore, whatever is the aesthetic of the original film will definitely carry forward to the screen. If you have more male characters in the film or if have a hero who has a larger role than [that of] a heroine, that is also going to carry forward in the dubbing. Therefore, the artistes dubbing for the heroes are always going to get paid more than the artistes dubbing for the heroines. But otherwise there is no intentional discrimination in dubbing. There can't be. Ultimately, you are just providing service to a product that has already been made. We are not creating a product from scratch, so we have no say in who gets a larger role or has more lines. That's why I said yes and no. The dubbing industry does not discriminate, but since we deal with content that inherently has these problems, we are also affected. How do you think the industry has evolved over the years? What's new for us now is the fact that until now we were only Indianizing content. It was mostly foreign content going local or Indian content going into regional languages. Now we have started globalizing content, so I think it has opened up a new market for Indian content. Like we did Sacred Games in English, which is for worlwide release and is available in every country. This is probably the biggest reach Indian content has ever had. So that's a huge game changer for Indian content as well as Indian dubbing. It's also the first time a client wanted natural Indian accents in English dubbing without the American or the British or foreign accents. So you could retain the authenticity of the characters and do justice to the way they spoke, where they came from and how they should be. Of course, you have to keep in mind that you are catering to a global audience and they should be able to understand this English! So you can't Indianize it too much, but when your content is so Indian at least your character sounds authentic. It makes such a huge difference. I think that is a very interesting new world for us right now. Talking of Sacred Games, some members of the Congress party had filed cases gainst the subtitling of the web-series. While translating content, what are the parameters the writers keep in mind? Well, to maintain the authenticity of the content as much as possible. Now, in this case, I think the case was filed with regards to the subtitles, which, unfortunately or fortunately, I was not a part of. So I can't really comment on that. But as far as the dubs are concerned, we make it a point to try and stay as true to the subject as possible and the aesthetic of what needs to be conveyed. But within that we also want to give the viewer a seamless viewing experience, so we have to pay attention to the lip-sync, the length of the dialogue, the body language, the lingo. There are so many things to keep in mind that we can't always translate literally. So one needs to understand that it is always the best route that could have been taken.